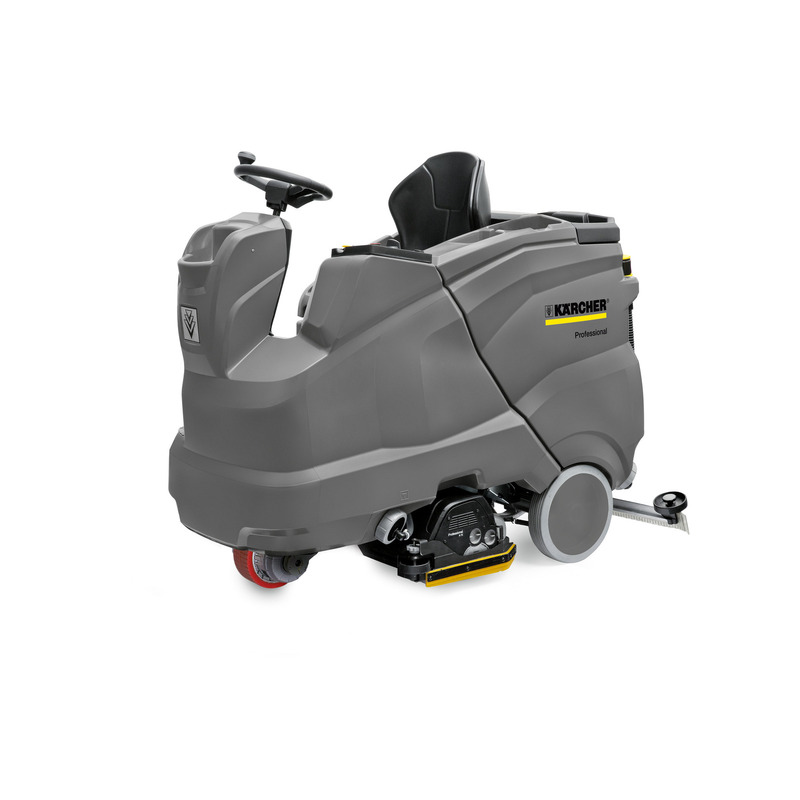 B 150 R Bp 22460010 https://www.kaercher.com/in/professional/floor-scrubbers-scrubber-dryers/scrubber-driers/ride-on-scrubber-driers/b-150-r-bp-22460010.html Ideal for medium-sized areas of between 2500 and 6000 m², compact and battery-powered ride-on scrubber drier B 150 R Bp with disc or roller brush technique. 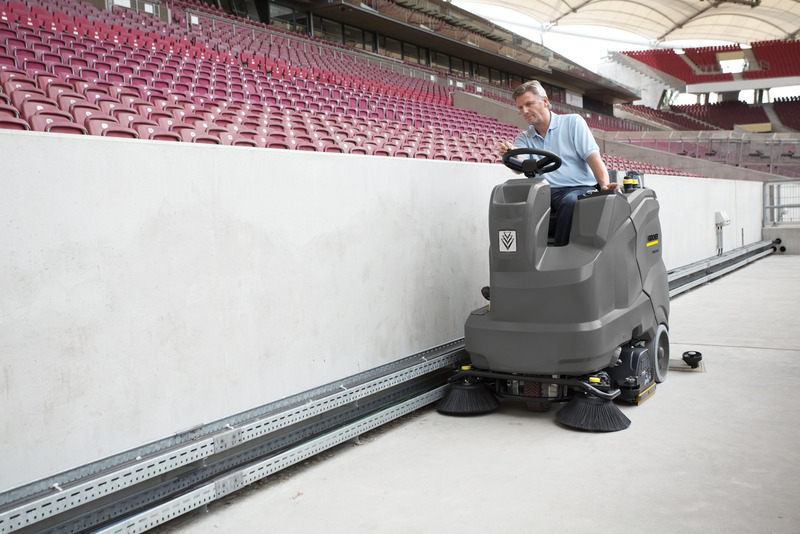 Ideal for medium-sized areas of between 2500 and 6000 m², compact and battery-powered ride-on scrubber drier B 150 R Bp with disc or roller brush technique. 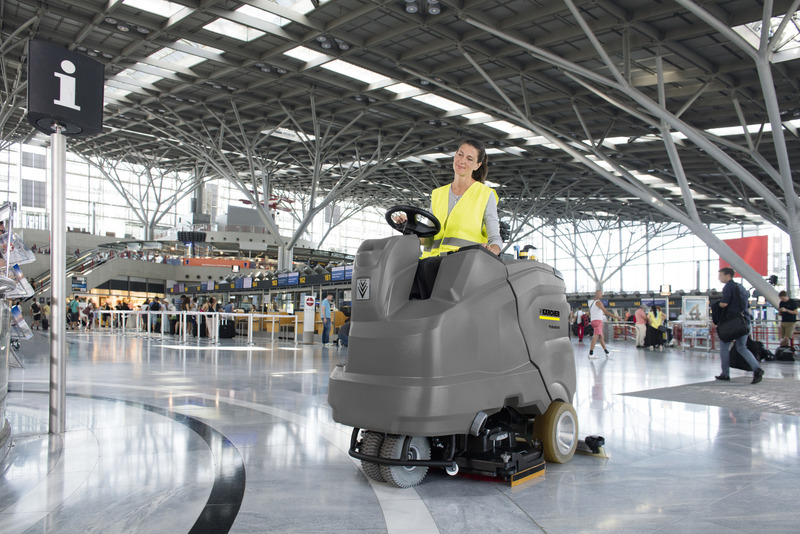 Thanks to its very narrow, short and thus extremely compact design, our battery-powered ride-on scrubber drier B 150 R Bp Konfektion with built-in charger is extremely manoeuvrable and thus ideally suited to use in irregularly shaped internal areas. The diverse equipment possibilities – for example, working widths of 75 and 90 centimetres are available – allow area performances of up to 6000 m² per hour. The machine can optionally be specially adapted to different floors. For smooth floors, the disc head is ideal, while a roller head with integrated sweeping function should be preferred for structured surfaces. Here, the brush speed can be set to 3 modes in accordance with requirements. Thanks to the eco!efficiency mode, water and energy consumption, as well as the noise level, can be significantly reduced. Colour-coded operating elements, the EASY Operation switch and the KIK key system make operation easy, convenient and safe. In addition, the tank rinsing system for hygienic cleaning of the dirty water tank and the Auto-Fill function are optionally available for simple and time-saving filling of the fresh water tank. Equipment details can be freely selected. Perfect matching of the machine to the cleaning requirements. Greater protection from incorrect operation. Optimum matching to the individual cleaning tasks without overwhelming the user. Automatic fresh water tank filling. Connect the fresh water hose and the filling process stops automatically when the tank is full. Battery types: maintenance-free or low-maintenance with 36 V/180 Ah, maintenance-free or low-maintenance with 36 V/240 Ah. 40 percent longer runtime per battery charge. Even quieter and thereby ideal for noise-sensitive areas (daytime cleaning, hospitals, hotels, etc.). Logically structured display of the current program. Quick and easy changes to settings possible. Easy cleaning of the dirty water tank. Water savings of up to 70 percent in comparison with cleaning using a standard water hose. Easy handling thanks to logically structured control elements with colour coding. Easier use and shorter learning curve.